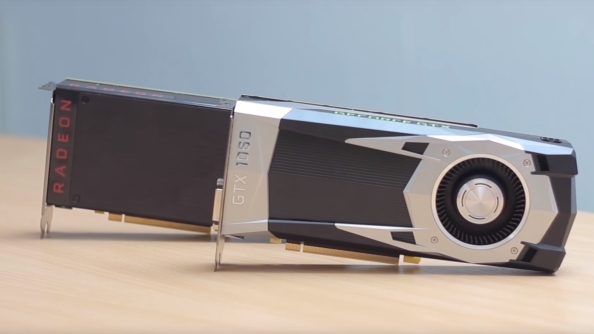 The new Pascal card may not support SLI, but check out our in-depth look at the GTX 1060 to see what it can do. Yesterday Nvidia unveiled the brand new GTX 1060 graphics card, featuring their first mainstream GPU built using their fancy Pascal architecture. And a mighty exciting card it looks too, with Nvidia claiming gaming performance that will put it either ahead of, or on par with, a GTX 980. It’s also coming in at a decent price, with the basic MSRP sitting at an impressive $249. We’ll ignore the frustrating Founders Edition pricing stuff for the moment as that’s just upsetting us right now. The GTX 1060 then will be cheaper than a GTX 980, potentially quicker and with a TDP of just 120W it will run a lot lighter on the power load too. What it resolutely won’t do, however, is work in tandem with another GTX 1060 in SLI. Nvidia are claiming their users don’t want to SLI mainstream cards, preferring instead to buy a pair of high-end cards to create their own monster gaming rigs. To be fair the number of people running multi-GPU rigs is incredibly low in relation to the rest of the PC gaming world, but completely removing the option for the GTX 1060 is still an unprecedented step for a $250-$300 graphics card. AMD too is being a little cagey about multi-GPU support at the moment. In a pre-launch briefing about their Radeon RX 480 Evan Groenke, product manager at AMD, told us that “multi-GPU is kind of at an inflection point at the moment,” and that it was shifting support for multiple graphics cards over to the games developers themselves. When the graphics card manufacturers are either unnecessarily locking things down, or almost side-stepping responsibility for making multi-GPU support functional, then it looks pretty bleak for the future. There is a little beacon of hope in the multi-GPU darkness though, and that’s thanks to Microsoft. With the DirectX 12 API you may have heard about something called Explicit Multi Adapterwhich gives game developers the sort of close-to-the-metal access for which DX12 is now famous and allows them to use every single iota of GPU power in a system to boost gaming performance. The headline grabber from that feature is the ability to pair up graphics cards of completely different generations – or manufacturers – and have them working together for the greater gaming good. It’s something which has been demonstrated to amazing effect with DX12 poster child Ashes of the Singularity, where AMD and Nvidia cards have been shown to function happily together to improve performance. The issue is that it’s so close to the metal that it requires a whole lot of intricate code work from the developers to actually implement the technology. With resolutely PC-centric games, like Ashes, that’s not such a problem because all the development work is done to get the most out of PC hardware anyway. For cross-platform development, however, it means adding in a whole lot of extra dev work for an incredibly tiny niche of the gaming community. And that in turn has meant it’s barely been implemented in even the few DX12 titles available right now. 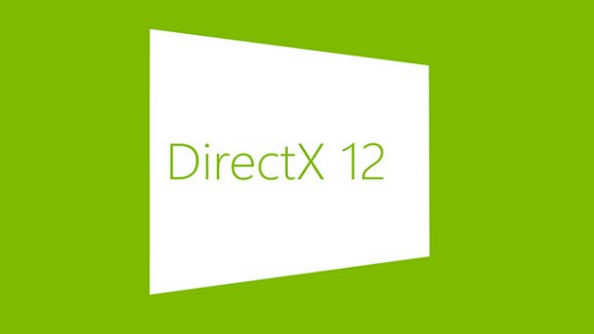 That is set to change as Microsoft is hard at work creating a new abstraction layer for DirectX 12 which will make it easier for developers to add multi-GPU support into their DX12 games, apparently with very little extra coding work. We have no timeframe as to when this layer will be added into the API, but we’re hoping it’s not too far away. This sort of abstraction does mean you’re getting further away from the actual hardware again, and whether this extra layer of abstraction means you have to be back using the same generation or manufacturer of GPU we don’t yet know. You may of course ask: who cares? When so few people are running SLI or Crossfire rigs why should we worry what either Nvidia or AMD do, or don’t do, about it? But if Microsoft can get this basic level of multi-GPU support added into every DirectX 12 title as a matter of course, and it can support asymmetrical GPU of different generations and manufacturers, that will benefit all of us. When you last bought a new graphics card, what did you do with the old one you’d been happily gaming on for the last few years? If you’re anything like me it was dropped in a drawer never to be used again. But what if you could buy a new card and use your old one to augment its gaming performance, wouldn’t that be something you could get behind? A little extra graphical performance is always welcome, right?